Andrew Masanto is a serial entrepreneur, investor and influencer within the digital marketing and tech industry. Andrew has previously lectured on digital marketing at Harvard Business School and Oxford University among other organizations. Before entering into the technology and digital marketing space, Andrew worked as an investment banking analyst at Rothschild in Australia. He eventually moved to the UK and worked as a lawyer at Linklaters – a Magic Circle UK Law Firm. 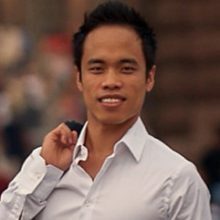 Throughout college, Andrew also worked as one of the youngest tutors and lecturers of Finance and Accounting at the University of Sydney. Andrew graduated from the University of Sydney (in Australia) with a Bachelor of Commerce and Bachelor of Laws (double degree with Deans list and 1st Class Honors). He also has a qualification in Music and Music Production from ICON Collective Music School (Nominated as Student of the Year in 2015).